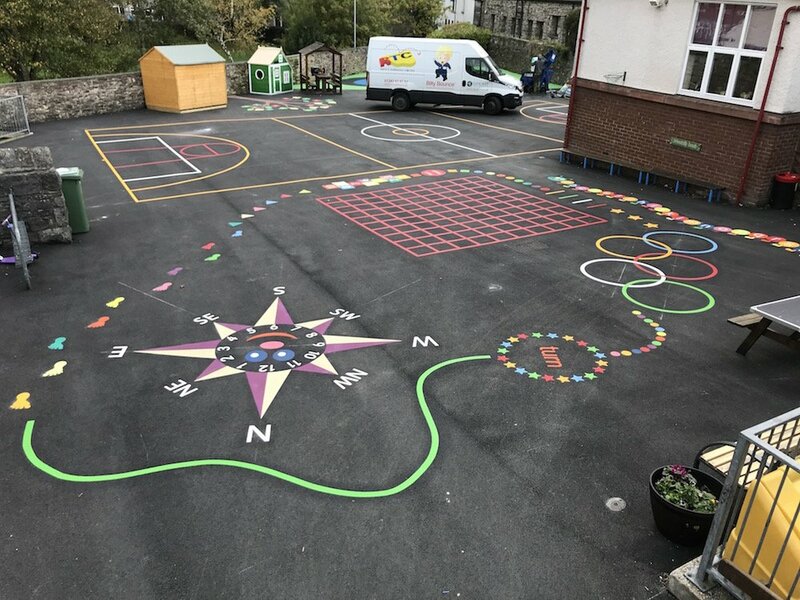 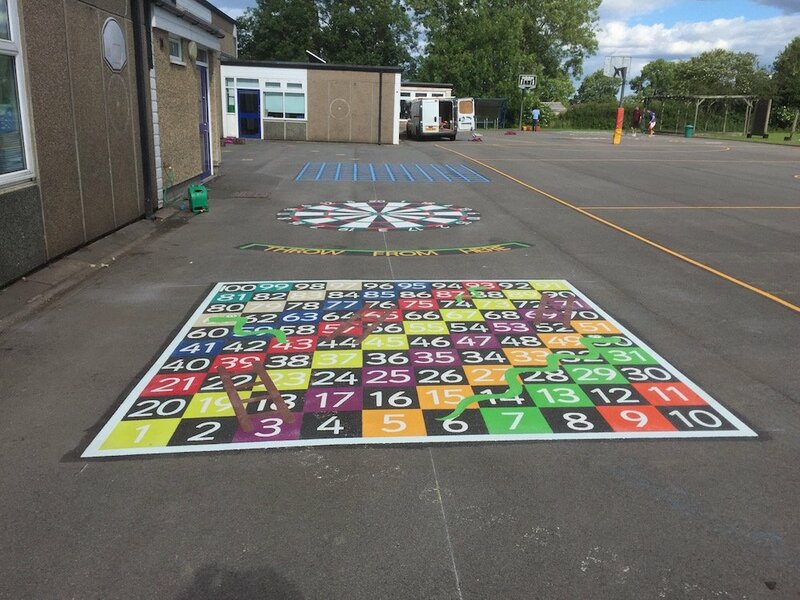 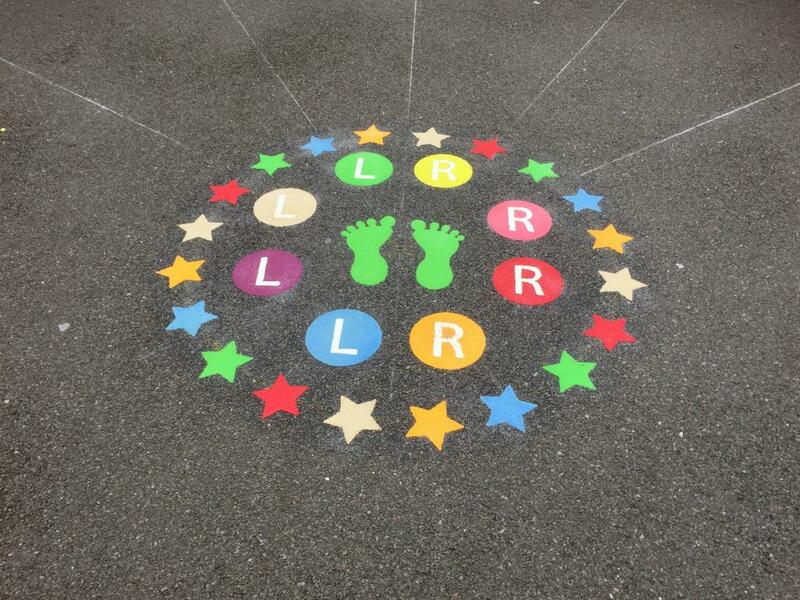 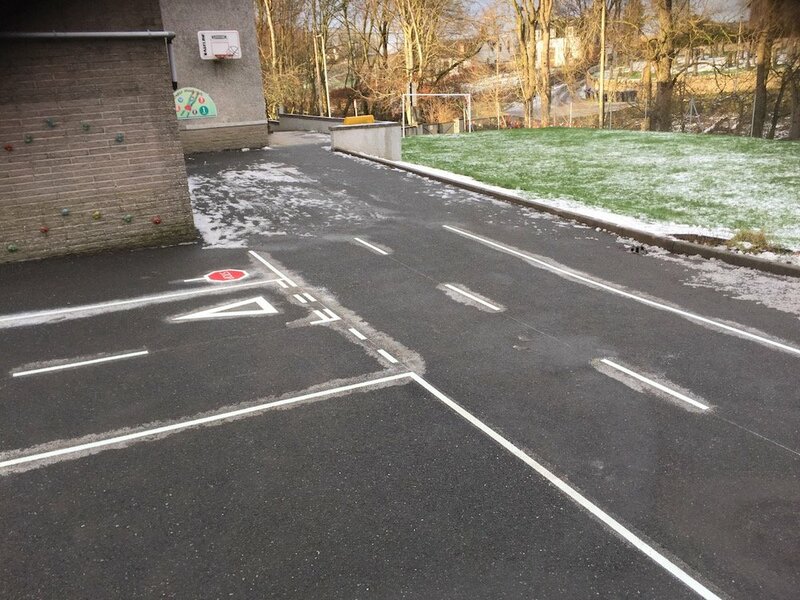 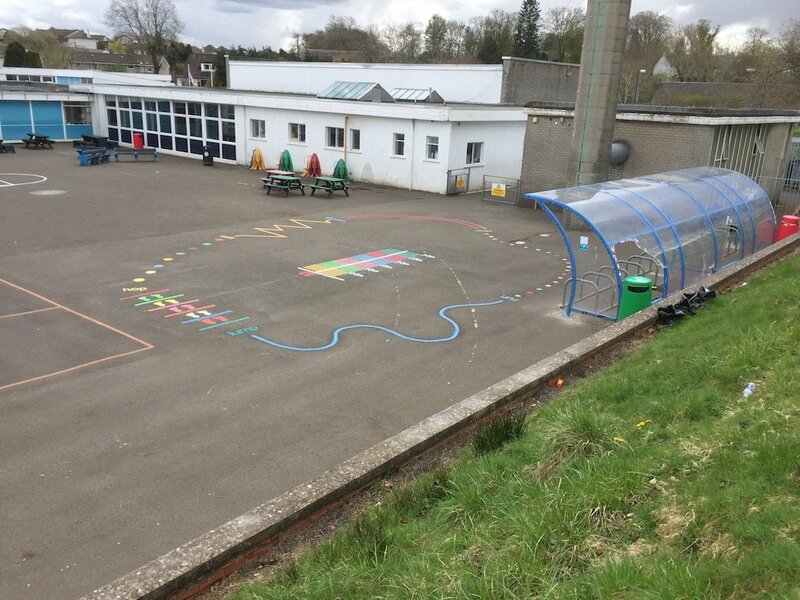 first4playgrounds installation team recently completed a range of Thermoplastic Playground Markings at Thomas Walling Primary School in Blaklaw, Newcastle Upon Tyne. 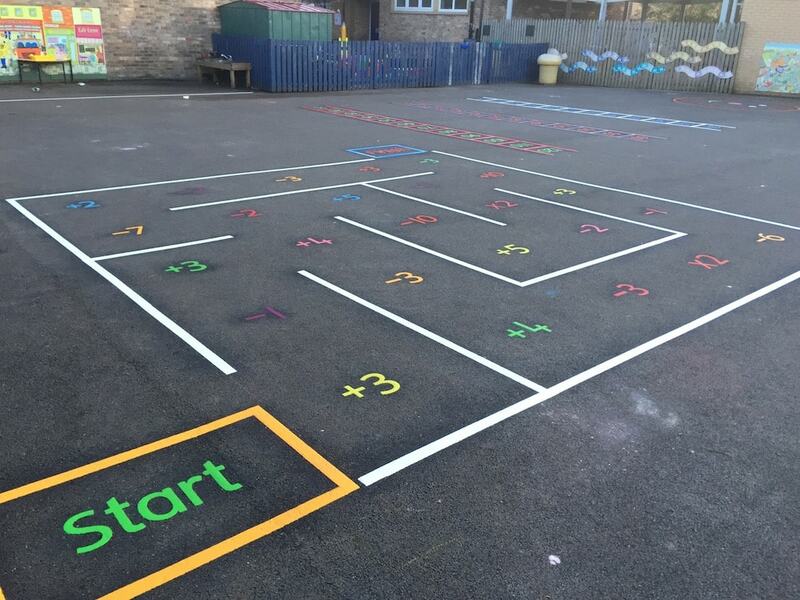 Firstly we installed This Maths Maze. 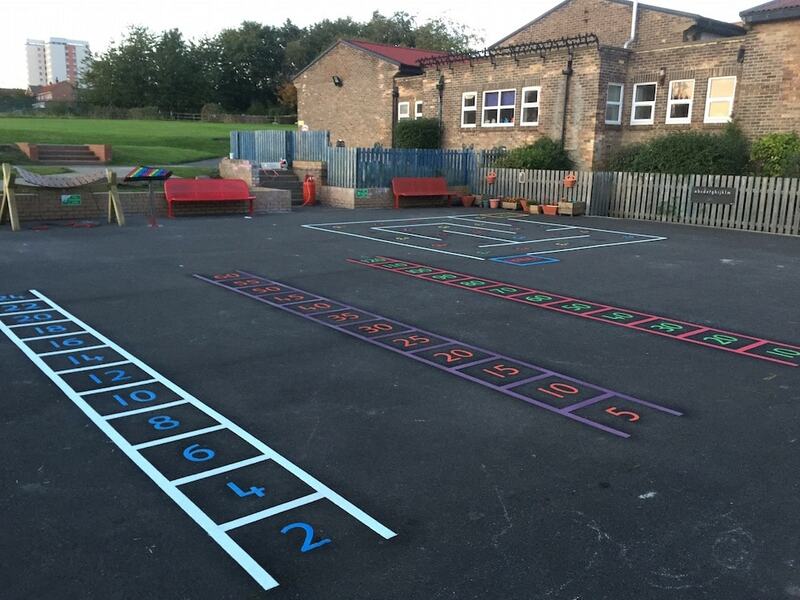 The maths maze is a great tool for teaching children mathematics, and keeps children active and healthy. 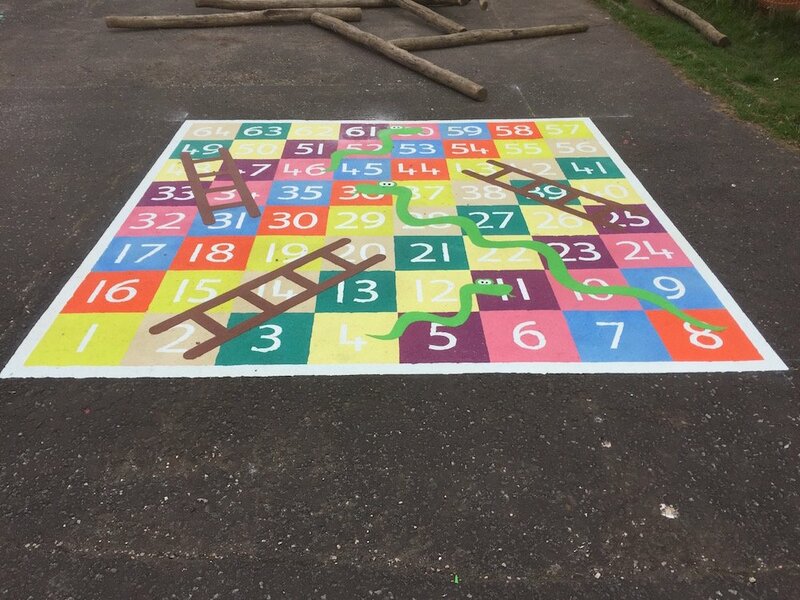 Children have to work their way around the maze and do the correct mathematics when they arrive at each number station, the Maths Maze can be fitted to apply to all levels of difficulty, and is a great teaching marking for any year. 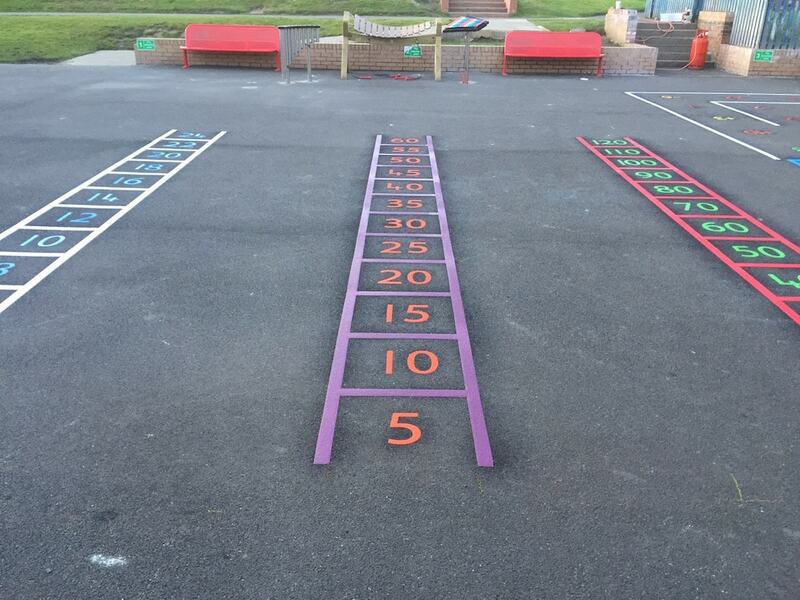 Next the team installed these Number Ladders. 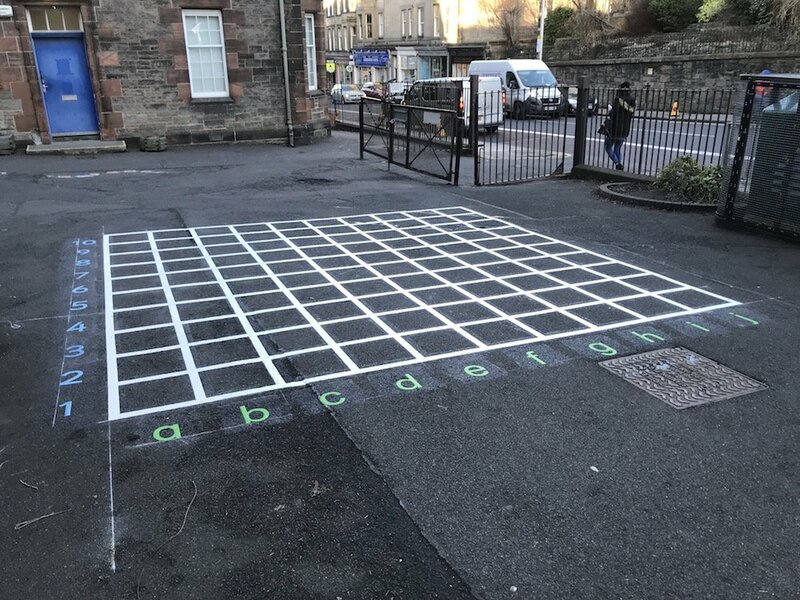 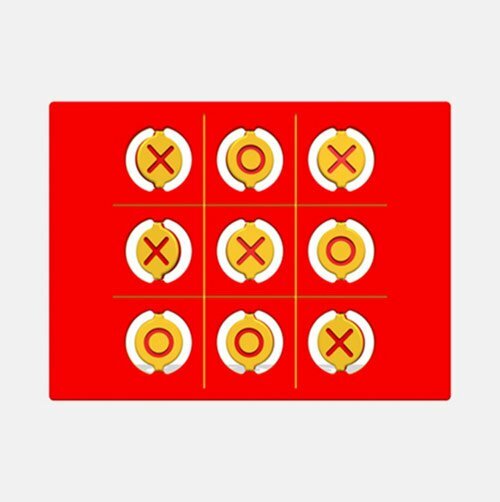 These number Ladders, installed in multiples of 2, 5 and 10, are a great tool for children learning their times tables, and keep children interested and active. 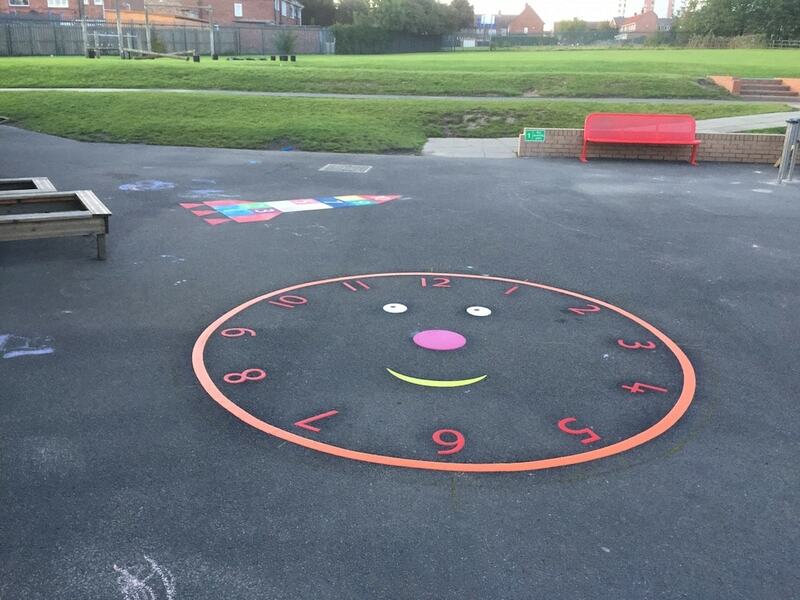 Lastly the team installed this smiley face compass clock.